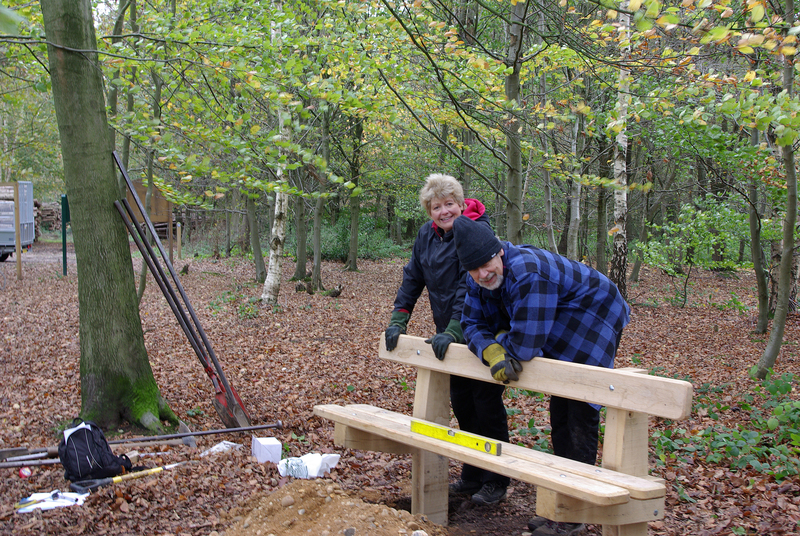 The volunteer group with the help of CMS installed 2 new benches near the Farm Road entrance to the Wood during their Thursday working session. The new benches have been sited to provide beautiful views across the landscape. It was hard work as the benches are extremely solid and made of oak. The legs are buried over 1 metre into the ground. The benches have been provided by Three Rivers District Council as part of their support for Carpenters Wood. The team took a well deserved rest at the end of their efforts. This entry was posted in Monthly Update by bgreenshirelane. Bookmark the permalink. The benches look absolutely fantastic!